Welcome to the December Recipe Round-Up! I truly cannot believe that it's December again already! 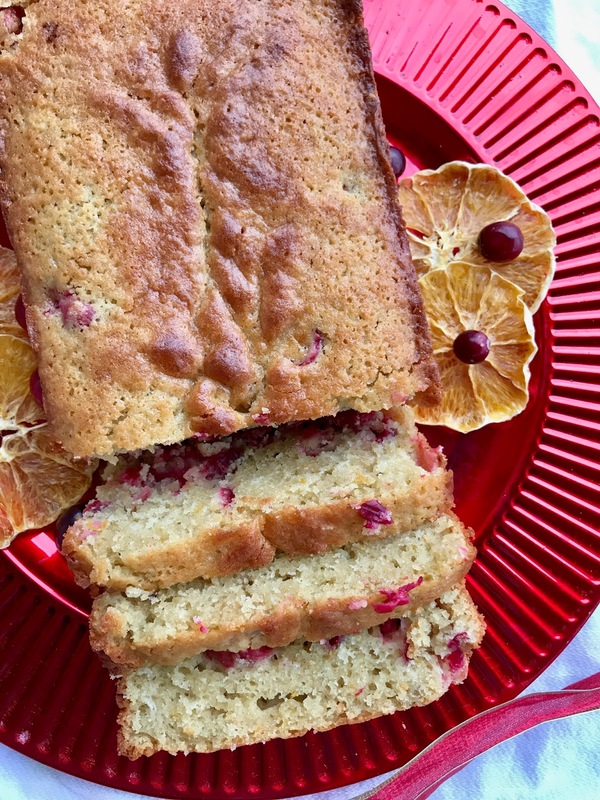 This month's round-up brings you those warm and cozy holiday-themed recipes and dessert recipes for fun holiday baking! 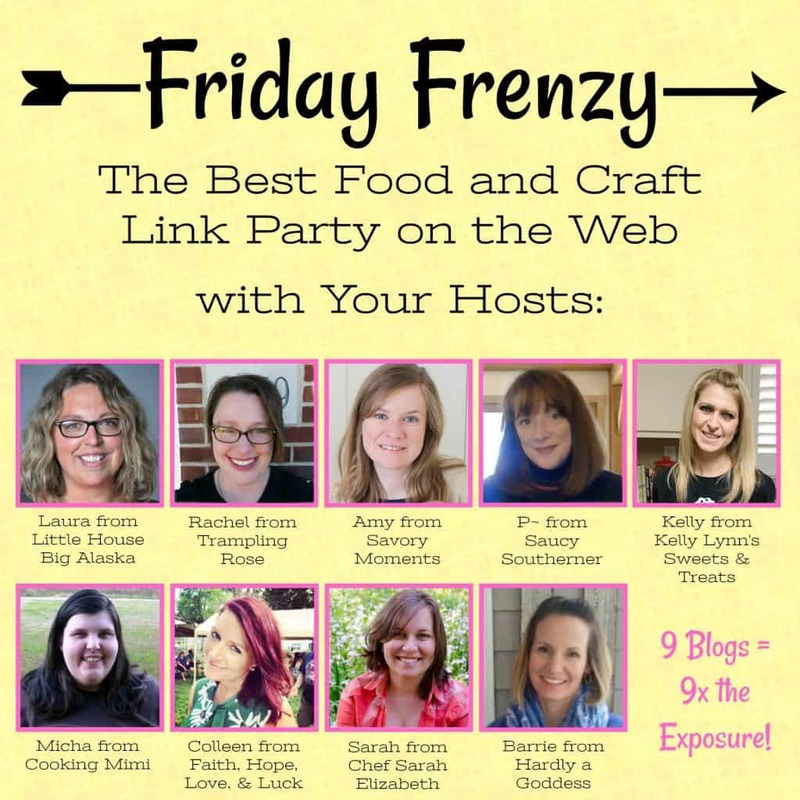 Our bloggers are sharing their favorite holiday inspired recipes with you, including breakfast, side dishes, main dishes and ((of course)) dessert...because what would December be without a little overindulgence? Plus we have another amazing GIVEAWAY that you don't want to miss! Keep reading to see all of this month's recipes and enter to win. 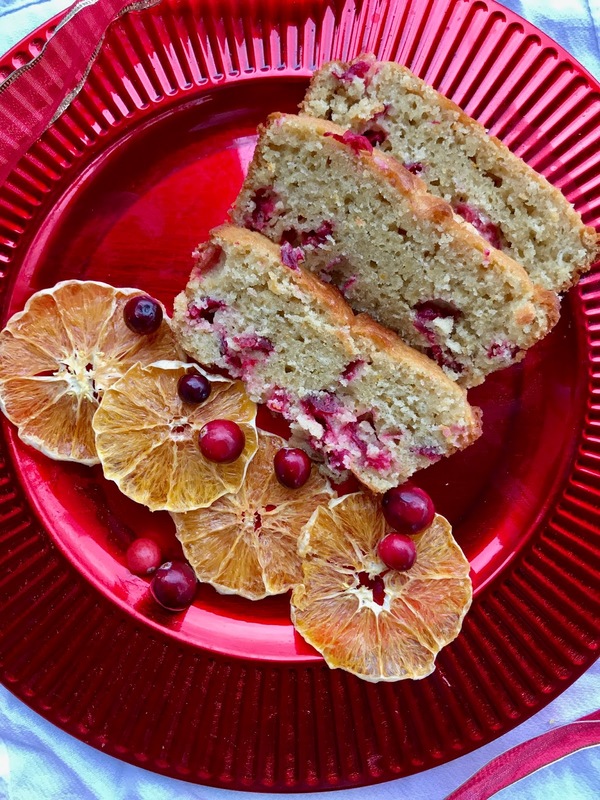 Cranberries and orange are a classic holiday flavor combination and they shine in this easy quick bread that is perfect for a holiday breakfast, brunch, or potluck. I don't know about any of you, but I'm still confused as to how it is the holiday season again already! I mean, where did fall go? We barely had one here with all the rain we've had. It doesn't seem right... But, it's almost December and that means it's time for all things festive, including festive foods! This bread is high on the list of easy and delicious holiday foods to make this season. Fresh cranberries are a staple in our house from the first time I see them in the store until they are no longer available (and I always grab up some bags to freeze). So I'm always on the lookout for new ideas and ways to enjoy them. My kids also love cranberries - they were even eating them raw and plain as I was chopping them for this bread! I tried one and well, I'll stick to eating them in things... I love the smell of this bread too - both as it bakes and after - the orange zest and light spices do make you feel all warm and cozy. This recipe will make one loaf of bread. All the flavors of gingerbread baked into oatmeal for a perfect winter breakfast! 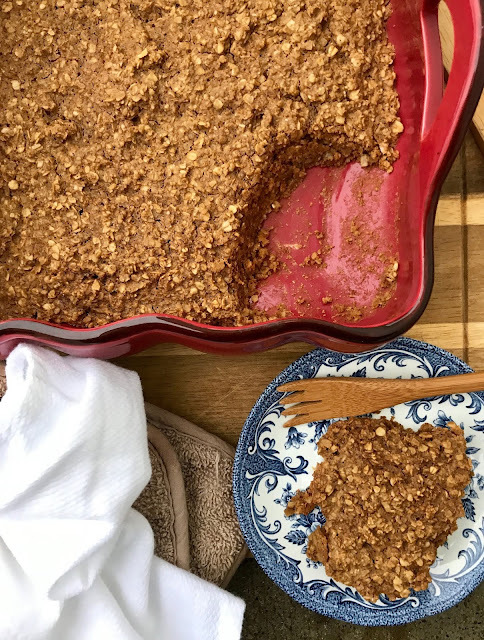 This baked gingerbread oatmeal is my contribution to this month's Fantastical Food Fight where the theme is gingerbread - perfect for the upcoming holiday season! I was trying to think of something gingerbread to make as I already have a couple kinds of cookies, Guinness gingerbread, and pancake recipes on the blog.... So, when I doubt I go with baked oatmeal! It's something that our whole family enjoys, including the toddlers, so it's always a win for me to have a new one up my sleeve. This breakfast is perfect for a wintery morning with a cup of steaming coffee or tea. 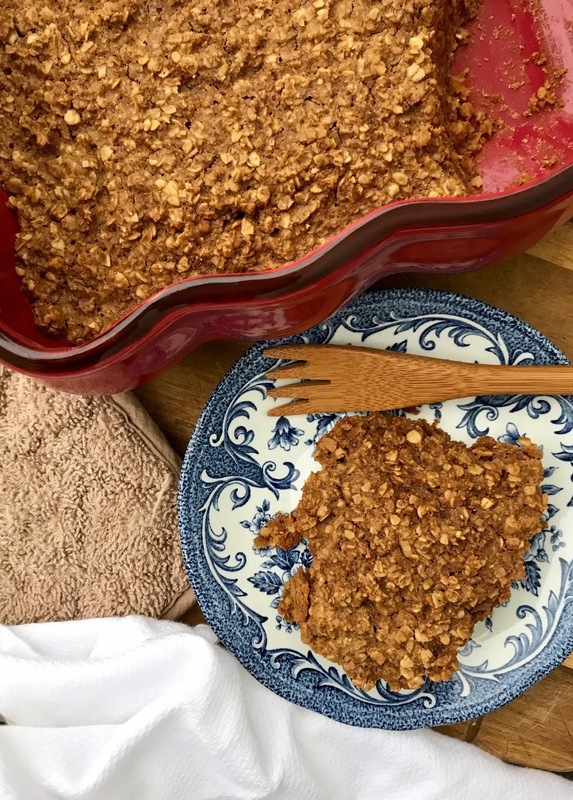 My husband commented that a glaze would go really well on this oatmeal and I have to agree, though I try to keep breakfast in the somewhat healthy realm most of the time! Plus the bonus is that it makes your house smell like the holidays while its baking. This recipe will serve about four to five people, depending on hunger levels. 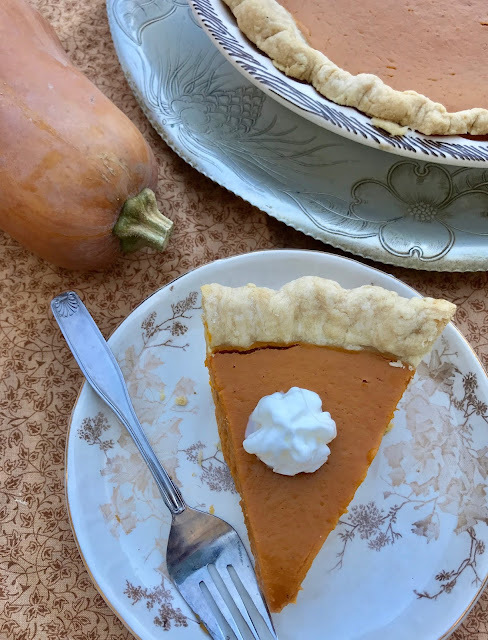 Honeynut squash is roasted in the oven, pureed, and turned into the best winter squash pie ever in this twist on pumpkin pie. Honeynut squash have been popping up more and more in seed catalogs and at farmer's markets, and recently at our local Wegmans. They look like a miniature butternut squash with darker skin. But, they are the sweetest winter squash I've ever had. You can eat it plain without any additional butter or sugar - it's that yummy! The dense flesh and deep sweetness make it a perfect choice for pie. 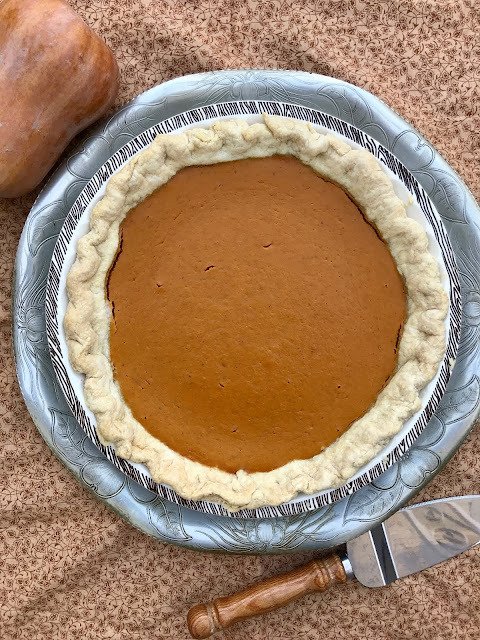 If you see honeynut squash definitely grab some and try this pie for Thanksgiving dessert or any other time you need a special autumn treat. This pie is lightly sweetened and lightly spiced so that the flavors of the squash really comes through. I roasted the squash first instead of just baking it to intensify the sweetness even more. It will serve about 8 people. Top it with some whipped cream, if desired. 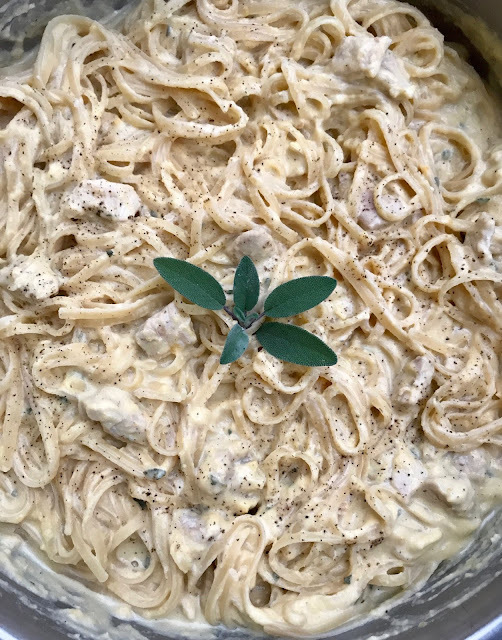 Creamy and savory pumpkin Alfredo sauce with sage, chicken, and pasta is a delicious autumn dinner. We've been gifted quite a few pie pumpkins this season, so I've been baking them, pureeing them, and freezing the puree. We use pumpkin puree all fall and winter not only pie, but for things like pancakes, muffins, pizza dough, brownies, smoothies, soup, and more. Now I've used it to make this super comforting pasta sauce. You can of course use canned pumpkin puree in place of the homemade stuff. Your sauce will probably be a little more orange if you do because the pie pumpkin puree is light orange in color so it almost disappeared into the cream and cheese. This autumn-inspired dish is really delicious - all four of us like it a lot, and the two year olds had multiple helpings. It's so creamy with a hint of pumpkin, nutmeg, and sage for a nice fall twist! We will be making it again and again! 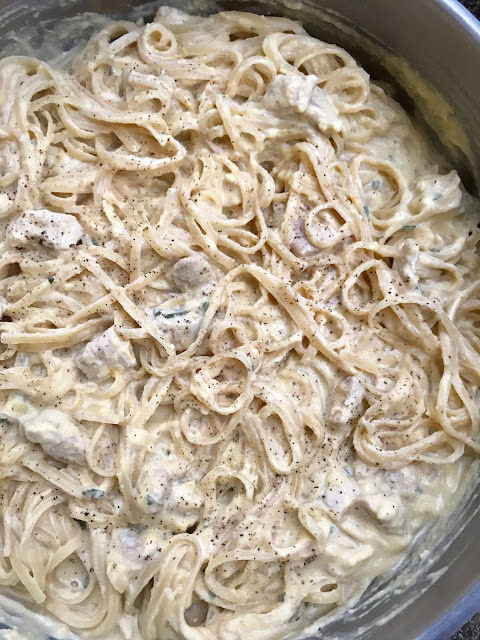 This recipe will serve about 4-6 people, depending on age and hunger level, of course. You can serve it with a side salad and/or some crusty bread for dipping to stretch it more.